What is Spriggy? A parent's guide to the kids' pocket money app. Goodbye piggy bank, hello app: Why Spriggy is kids’ pocket money of the future. 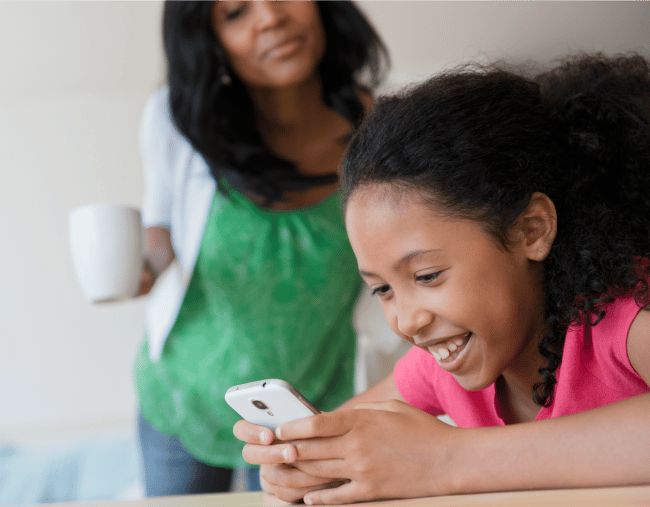 Raising a child in the digital age, where kids nowadays come out of the womb knowing how to swipe, we as parents have a job to do in unlearning our old-school ways in order to equip our kids with the necessary skills to thrive in an ever-evolving world. It’s surprising to think now that a lot of the everyday things I learnt from my parents may be considered redundant. Back when I was growing up, a computer was considered a luxury item and something you used to kill time. Now, it’s a critical learning tool. So much so, my son will be joining Coding Club in primary school. Look out, Silicon Valley! As someone who considers themselves tech savvy, I want my son to be up to speed with the world he’s going to inherit from me. I’m even questioning whether actual cash is going to be relevant to him, given that we are moving towards a cashless society right now. My kids only know how to pay by tapping Mummy’s plastic cards, which they see pop out of my handbag at the supermarket. Even when we role play ‘shops’ at home, the method of payment is a tap motion and the sound of a ‘beep’, otherwise they consider it an invalid purchase. So when it came to teaching my kids recently about saving money, I knew that an old-school piggy bank approach may not be a long-lasting strategy going forward. Later, piggy bank. Image: Getty. They’re going to be doing everything on their phones - I do all my shopping on mine. So it makes perfect sense that their approach to savings and learning the value of money would come in a tech format. Luckily someone already thought of that. It’s called Spriggy, and it’s changing the way parents like me approach the idea of pocket money with their children. So what is it? Spriggy is a financial education mobile app that helps parents teach children to understand how to use money in today’s world. It is the brainchild of Sydney-based finance entrepreneurs Mario Hasanakos and Alex Badran, who launched the business in late 2016, and now have more than 60,000 users with more than 250 parents and kids joining each day. Here’s how it works: you download the app and are sent a prepaid card for kids (aged eight to 17) and parents to use together. It&apos;s a supervised way for you to teach them concepts of earning, saving and responsible spending (they&apos;re going to need it!). The app makes giving pocket money so simple and convenient, while providing parents total control and insight into their kids&apos; saving and spending behaviours. What a dream, am I right? What I love most about this app is that kids are empowered to be independent - but within limits. While your child gets the Spriggy prepaid card for them to use on purchases, both online or in-store (anywhere that accepts Visa), you can see everything they do - live. This proved handy for me this Christmas when my son wanted to buy a gift for his father. A few months ago, I signed him up to Spriggy. It was very easy to launch and use, and only costs $30 per child per year - and the first month was free. Once I started putting his pocket money into his account, together my son and I were able to track his financial progress to save the required amount for Daddy’s Christmas gift. Not only were we able to put my son’s maths skills to good use (always a plus), but Conrad actively understood he had saved enough to buy his dad a helmet to wear on his bike riding trips (it’s hubby’s new hobby, a story for another time). It was his first major savings goal, and it taught him a little patience along the way too. That&apos;s a big deal when his generation will have absolutely everything at their fingertips! The good thing about Spriggy is that it offers safety over cash, as kids can only spend money available on the prepaid card. Parents can monitor in real time and lock cards instantly if needed - yep, it&apos;s not like you’re giving your child your entire credit balance to max out recklessly. If they know it’s limited, they will shop responsibly. Good habits start early, right? So, under the Christmas tree is not only an awkwardly wrapped helmet for Daddy, but a life lesson learnt by my son about earning and saving money in the modern world. Now, let&apos;s hope those coding classes pay off too. Have you tried Spriggy? What&apos;s your tip for teaching kids about the value of money in a cashless world? Share with us in the comments section below. This content was created with thanks to our brand partner Spriggy.